Have you always dreamed about going around the world searching for treasures hidden in exotic and enchanted places? Soqquadro will make you discover that you don’t need to travel for thousand miles, pass through jungles, deserts, mountains and face every kind of dangers and enigmas… the treasures you are looking for are already next to you! 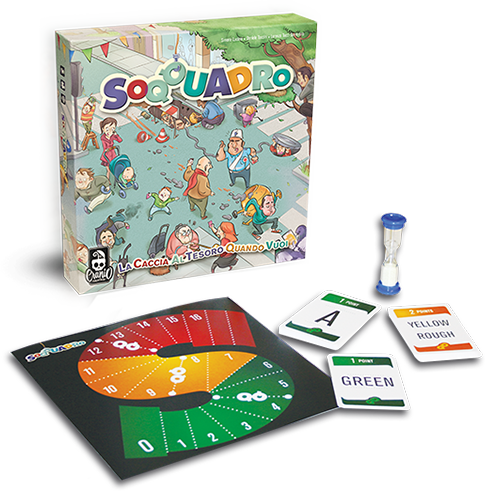 Soqquadro is a crazy game of research where the fun expands from your table to your entire house. Draw object cards and run in every room, fumble in every corner to find objects that satisfie your card’s requests, run back to the table and move your pawn forward.